This is a ministry classroom that will get you prepared for peace, encouragement, uplifting, inspiration, refreshing, and motivation that God have for your life.. Location: Anywhere in the world..
Jesus Said: Woman give me something to DRINK? Are you ready to never Thirst AGAIN? Your New LIFE begins NOW!! Jesus asked the Samaritan woman known as a harlot for water. For the woman, it was both a disarming as well as a natural introduction to Jesus. He didn't stare at her with a look of self-righteous condemnation. He didn't wave signs like "Repent or Perish" or "Turn or Burn" in her face. He didn't hand her a religious tract or pamphlet. He simply asked her to help him. Of course, the fact that he would speak to a strange woman in public, and the fact that he, a Jew, would drink from her gentile water container was a shock. 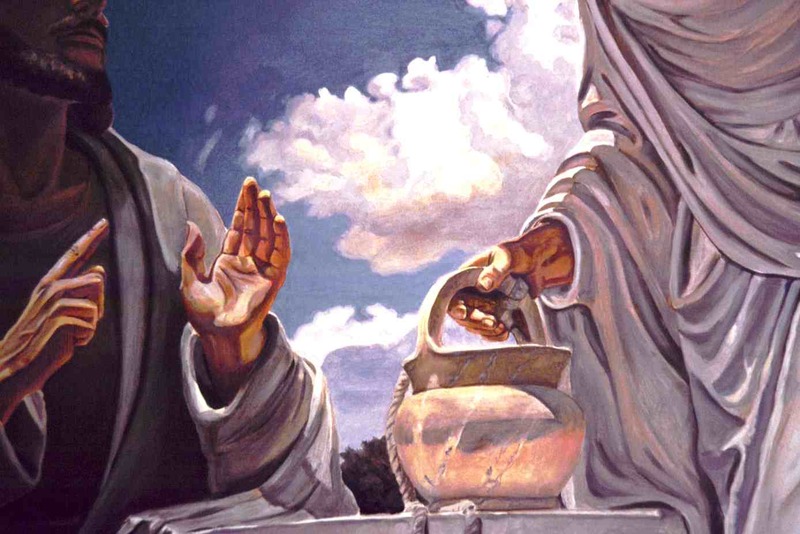 The Samaritan woman challenged the stranger who spoke of some mysterious living water. She wondered if this stranger thought himself to be greater, wiser and more significant than "our father Jacob" after whom the well was named. The woman, in many respects representing all of us as broken, sinful human beings, struggled to understand the discussion about water and life, to contain Jesus in her material and physical world But Jesus is not someone we contain or capture. He comes to us, like he did the Samaritan woman, from outside time and space. He comes into our world with the offer of eternal life. Water that will satisfy our thirst for life. Jesus takes the fundamental human physical need of water and transfers it to our fundamental spiritual need. The Samaritan woman knew all about water. She came to the well every day. She, like all human beings, needed water to survive. 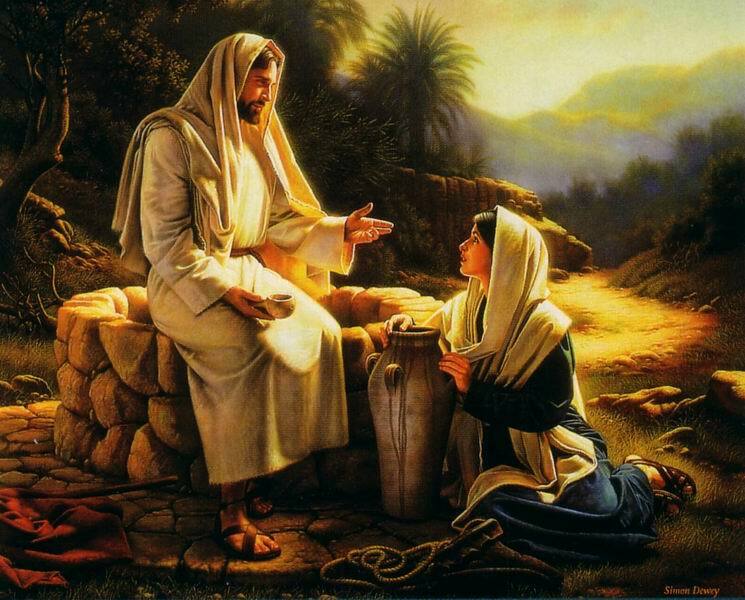 QUESTION DO YOU THINK THE WOMEN AT THE WELL HAD INSECURITY ISSUES BEFORE MEETING JESUS? CONGRAULATIONS TO ALL THE NEW LEADERS!! You need to be a member of Women at the Well being Refreshed to add comments! •Isaiah 60:11-14-Your portals and entrances will remain open twenty-four hours to obtain the unlimited riches, an abundance of wealth, and prosperity of many realms/lands. The kings of the universe will be led as prisoners in a triumph parade. For the realms/nations that reject to serve you will be demolished. I will give you serenity there in Israel, as a mother calm and soothe her child.” When you see these things, your mind, heart, soul, and spirit will celebrate. You will bloom, grow, thrive, and prosper like the evergreen grass! Everyone will know the Lord(Yahweh) hands of magnificent favor, greatness, Shalom, and unending blessings on his children—and his anger against his adversaries and foes. I really enjoyed reading this story about the women at the well, It just go to show that God's Love is unconditional! so loving of people It did not matter that she was not a Jew or even if she was rich or poor, she did not know who he was she just did what was in her heart to help., It confirms to me that God looks at your heart what's in our hearts is what matters to him not how we look or how broken we may be , if we are rich or poor its the love that is in our heart thats matters, because love is unselfish that's when we as people can walk in love for one another,our hearts have to be right place. As unique as this woman was she still suffered with srlf esteem issues,relationship issues and a attitude to go along with her issues.Jesus addressed all her issues with one word of knowledge that changed her mindset.She no longer had her issues with the shift in her mindset she began to do what He (Jesus)Knew she was created to do,evangelize many souls believe because of her testimony. HAPPY BIRTHDAY PASTOR MOTHER GRACE!!!!!! I never thought about the woman of the well like you described in the discussion above. I enjoyed reading it. I love how creative all the groups are it's refreshing too be able to have a place too revert to in any situation.. I am indeed intrigued by the reading when it says Jesus did not look at her the eyes of condemnation as many Church folk do but he looked at her through the eyes of live and help to renew her mind and save her life glory be to God. I believe once Jesus gave her the word of knowledge,her thirst increased she really wanted the water that would cause her not to thirst again.